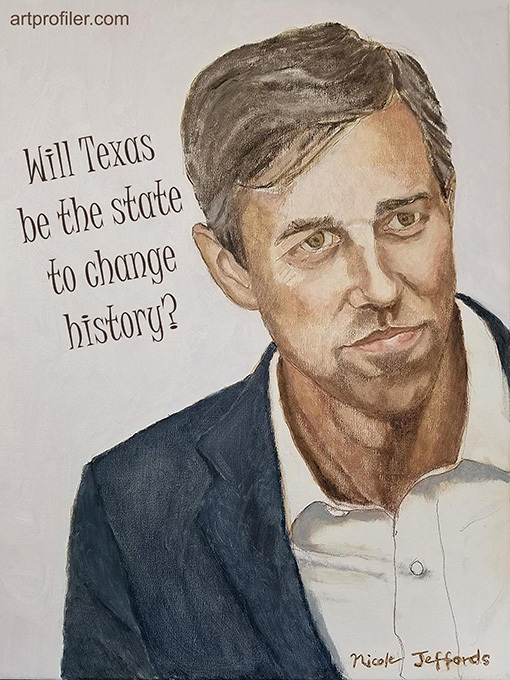 Will Texas be the one to change history? Jumping into the melting pot of a whole slew of other presidential hopefuls, Beto O’Rourke from El Paso, Texas, announced his candidacy for the highest office of the land earlier this week. I was a devout Beto fan during his run against Ted Cruz for the Senate seat last year. Part of me knew he couldn’t win Texas because of its deep rooted conservative history. But that didn’t stop me from hoping. And that’s the thing about Beto, he offers hope. He is a charismatic speaker with a youthful (some would say naive) approach to leadership, and he seems to want, more than anything, for our country to unite. Much like Obama, Beto carries a star like quality about him — he’s animated, full of energy, he gets the crowd excited. He talks to the people — indeed, he visited every single Texas county last year, and unlike Donald Trump, he has no qualms about standing in the rain for a speech. He’s also a phenomenal fund raiser, which is 75% of the battle (in my opinion). I could have done without the video of him getting his teeth cleaned. And I wasn’t a fan of the fact that his wife couldn’t get a word in as she sat there sometimes grasping his hand on their sofa during Beto’s announcement video. It is weird to me that big shots like Oprah throw so much money into politicians, using their pop culture status (and gigantic fortunes) to sway elections. This sort of thing was the same exact reason I took issue with Obama during his first presidential run. Something just felt off about that to me. In fact, I didn’t even vote for Obama the first time around, but I grew to love him over the years. And I think I could feel that way about Beto as president, too. I should note that another less well-known Texan is in the running — Julian Castro from San Antonio. While he doesn’t grab headlines like Beto does, he seems like a decent human being with a history of public service. He was San Antonio’s mayor from 2009-2014, and left that job to serve as the Secretary of Housing and Urban Development under Obama. He was even considered as a running mate to Hillary Clinton in 2016. Castro is a Mexican American which could benefit him greatly with all of the recent attention placed on our southern border and rising racism in America. If elected, he would be the first Hispanic and Latino American president. Only time will tell which of these (is it 15 now?) hopefuls will be the right candidate to lead this country out of the darkness that descended upon us over two years ago. Let’s just hope the Democratic Party can come together and pick the best (wo)man for the job. Otherwise, we will have another four years with Trump, and I’m afraid if that happens, we are all doomed. On so. many. levels. Trump vs Conway – Til Death Do Us Part?